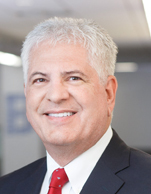 Rick Rosenthal is Director, Business Development FTSE Russell Index for the Chicago Board Options Exchange (CBOE). In this role, Rosenthal leads business development, for the listed derivatives on FTSE Russell Index products exclusively offered by CBOE. Focusing on marketing and education, he promotes options-based strategies on the FTSE Russell product line as an effective tool for risk management and yield enhancement. Prior to joining CBOE, he owned Turning Point Securities, a FINRA Broker Dealer and member of NASDAQ, Arca, Chicago Stock Exchange, and National Stock Exchange, brokering ETF’s for clients including Delta One desks and investment managers. Previously he ran floor operations on the CME, CBOT, and CBOE as Head of Listed Equity Derivatives for Cargill Investor Services and Dean Witter. Rosenthal was a FINRA broker for over 30 years and held a series 3, 4, 7, 24, 55, 63, & 66 security licenses. He received his B.B.A. degree from the University of Iowa.